All modifications to the standard 2001 frame are made to have it look like a 2001 factory frame, read what was needed to be modified, how it was done and the end result. Click here to read the full story. 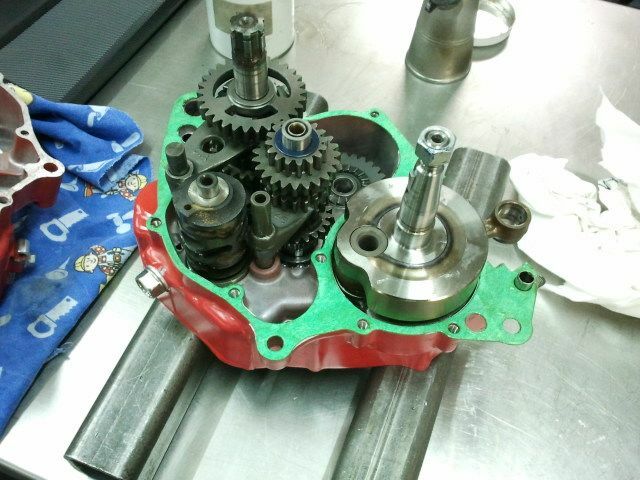 I had the opportunity to take a look at a set of 1997-1999 Honda RC250 engine cases. These are the cases as used by Fred Bolley, Stefan Everts, Joakim Karlsson, Gordon Crockard, Sebastien Tortelli, Ryan Hughes and Steve Lamson to win many races and championships. Click here to read the full story.